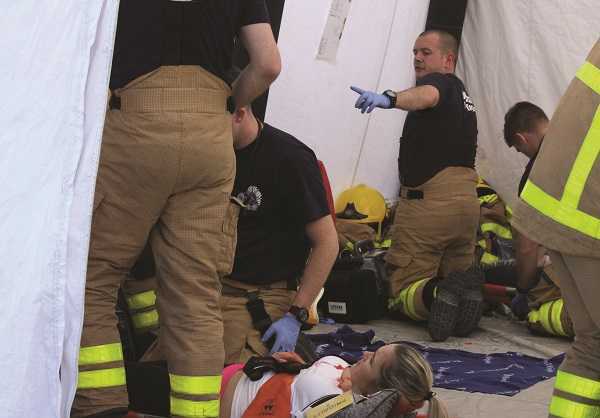 Firecall looks back on a Dublin Fire Brigade mass casualty training exercise held last July, with trainee paramedics responding to a simulated large-scale terrorist attack in Broadstone. 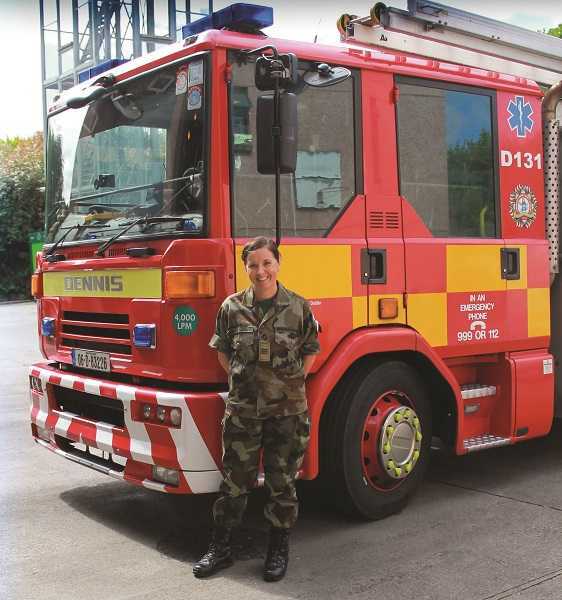 Trainee Dublin Fire Brigade paramedics were given a baptism of fire last July, tasked with responding to an unknown mass casualty incident on the Luas line between Broadstone and Cabra, revealed as a terrorist attack with a large number of injured and deceased civilians. 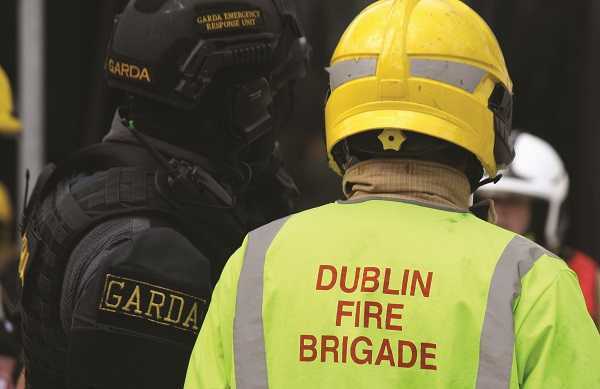 Dublin Fire Brigade has had a working relationship with Luas over the past number of years concerning the Cross City works, ensuring they can respond to emergencies in and around roadworks adjacent to the new Luas line. The track is due to open to the public by the end of the year, but DFB officials wanted to run an exercise with Luas before trams hit the tracks. And, given events of the last year or two in London, Manchester, Paris and Nice, it became clear that the opportunity to train for a potential terrorist attack on Irish soil could prove highly useful. Third Officer John Keogh made the initial contact with Luas and other stakeholders – a long process involving indemnities, insurance and other administrative tasks, with final approval coming just four weeks before the deadline. The Luas line between Broadstone and Cabra was chosen because it’s one of the few sections isolated from the main roads, winding along the old rail network. 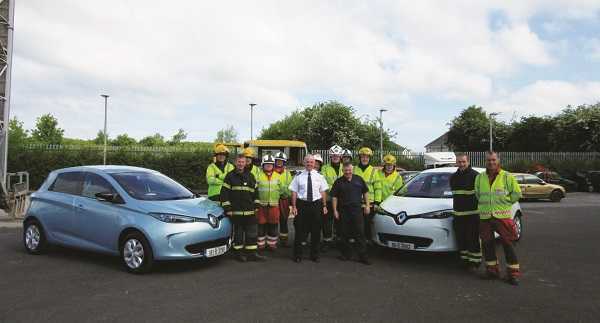 “Using Broadstone as the base, we saw the opportunity of checking out some of the scenarios that might be in place if an incident happened on the Luas track where we hadn’t got direct access off the road. It was an opportunity we didn’t really want to miss out on,” T/O Keogh explains. With permission granted for the exercise to go ahead in Phibsboro, the task of organising the incident itself fell to paramedic tutors A/SOFF Karl Kendellen and A/S/O Derek Rooney, charged with fleshing out the details and looking after everything from logistics to compliance with health and safety, traffic management and more. 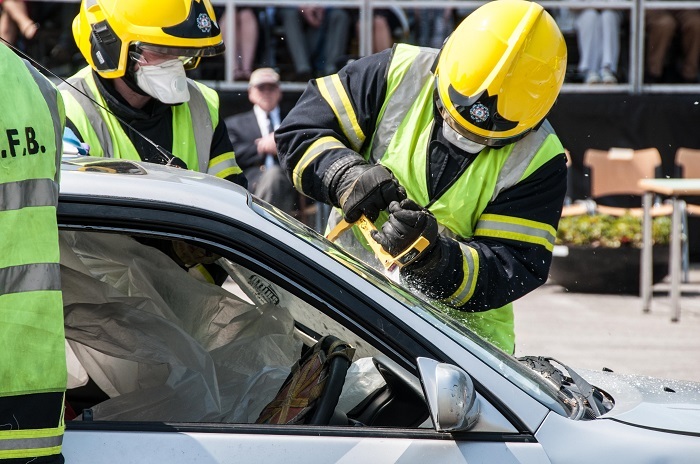 They crafted a highly realistic scenario for what would be the largest mass casualty exercise in DFB history, with 44 trainee paramedics, 60 casualties, and members of the gardaí, ERU, ASU, the Civil Defence, Royal College of Surgeons in Ireland and Luas among those involved on the day. Testing both the skills of the paramedics and communication lines between DFB and Luas, the exercise began with a call confirming a potential terrorist incident on the line, with an ambulance manned by two recruits arriving from Phibsboro fire station – the station that would turn out to a real incident along this route. The scenario saw four terrorists crashing a car into a tram, overturning the vehicle on the tracks before entering the tram and shooting and stabbing passengers. A second incident later in the day saw an attack on another tram by a second terrorist cell. 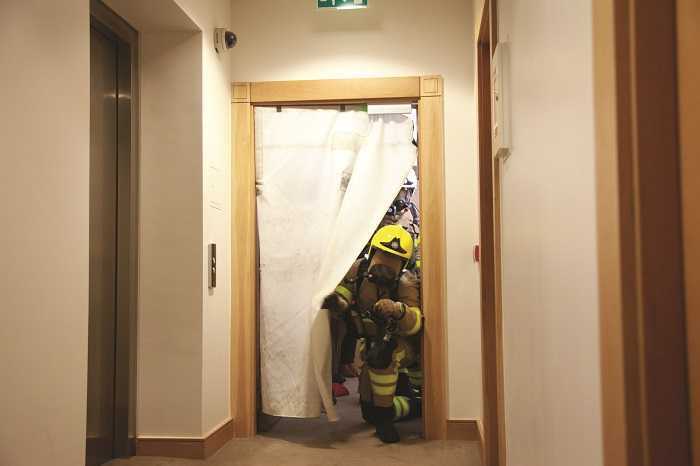 Members of the Garda Emergency Response Unit (ERU), backed by the Armed Support Unit (ASU), cleared the scene before the paramedics could begin triage as per the PHECC clinical practice guidelines. Patients were removed by order of severity to a treatment tent before transportation to a field hospital set up in No. 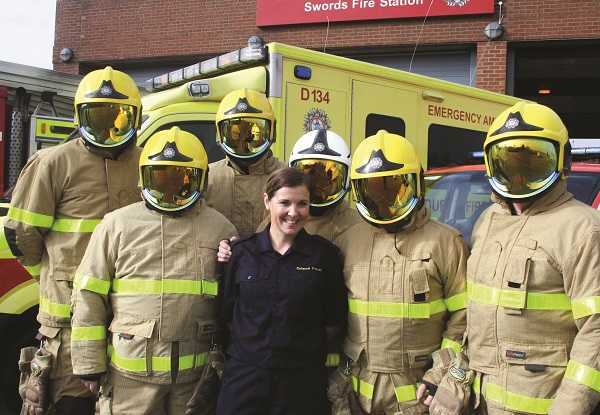 3 and manned by Dr Niamh Collins, a consultant in emergency medicine who is heavily involved in the DFB training programme – a training exercise for her team also. The exercise was a huge success, a large-scale operation that went off without a hitch, and the paramedic trainees excelled on the day. The exercise also highlighted where DFB’s response to such an incident could be improved and further strengthened the links between the emergency response agencies and medical crews who would work side-by-side in the event of a real attack. Conor Forrest caught up with D/O John Rush to discover more about the brigade’s new hydraulic platform. 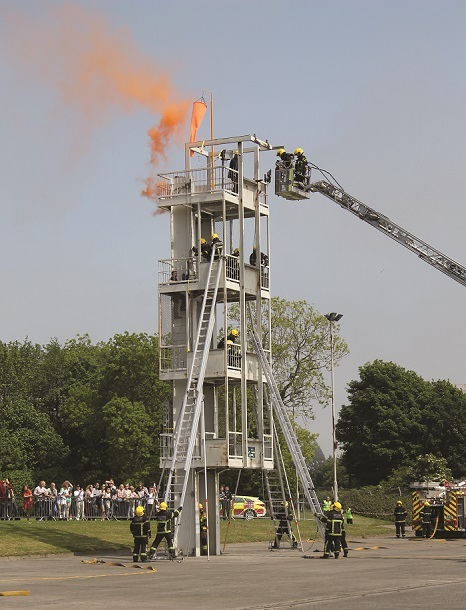 Firefighting rescues and operations involving tall or difficult to access buildings often necessitate the use of either a turntable ladder or a hydraulic platform. Dublin Fire Brigade has recently added one of the latter to its fleet, a MAN SS263 appliance that extends to approximately 86 feet and features a range of updated safety features and increased versatility when compared to the 70-foot SS220 currently in use. 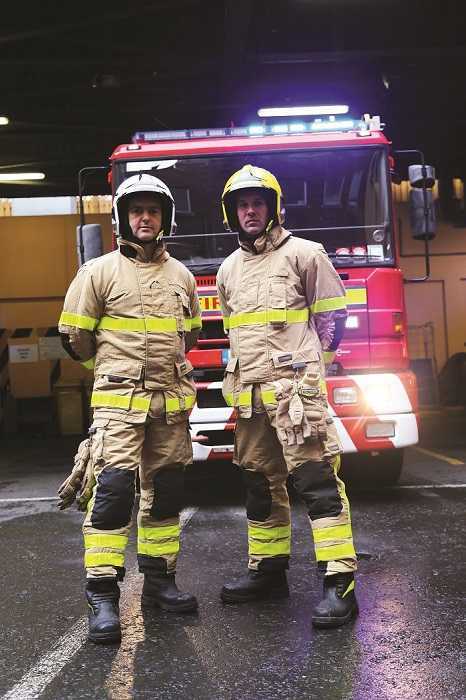 “It’s not used instead of a turntable ladder – they both complement one another. 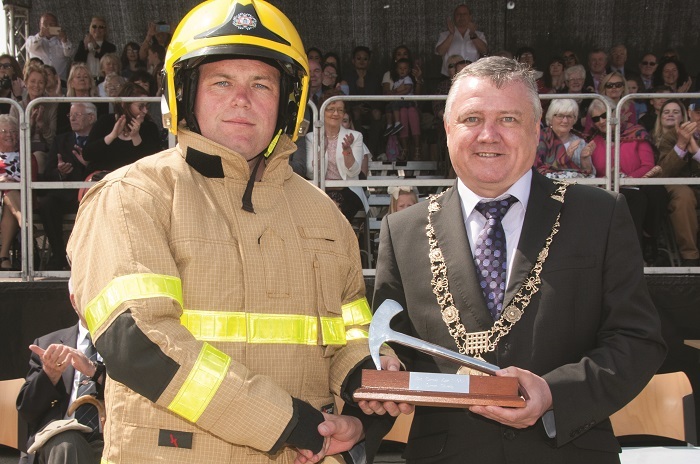 The turntable ladder has its good points and the hydraulic platform has its good points,” explains District Officer John Rush, a 34-year veteran of the job who was trained in Kilbarrack and today oversees A watch Alpha District. 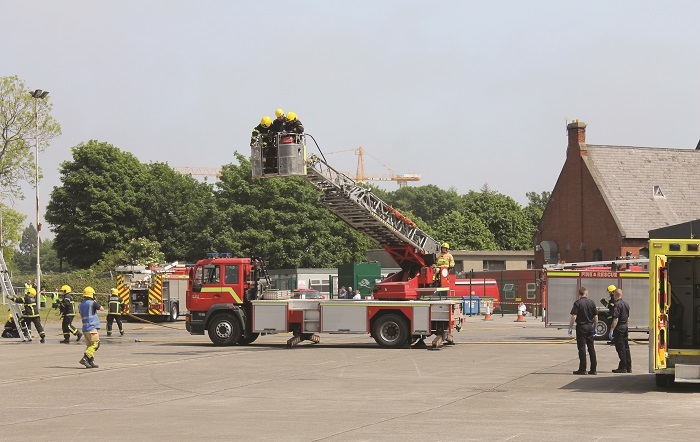 D/O Rush spent a number of years in Dún Laoghaire fire station – where the hydraulic platform is stationed – as a firefighter, and undertook two weeks of platform training before being asked to instruct on its use. D/O Rush tells me that DFB’s first hydraulic platform went into use during the late 1980s, a 50-foot appliance originally based in Tara Street – Dún Laoghaire became its base of operations following the amalgamation with Dún Laoghaire fire brigade. 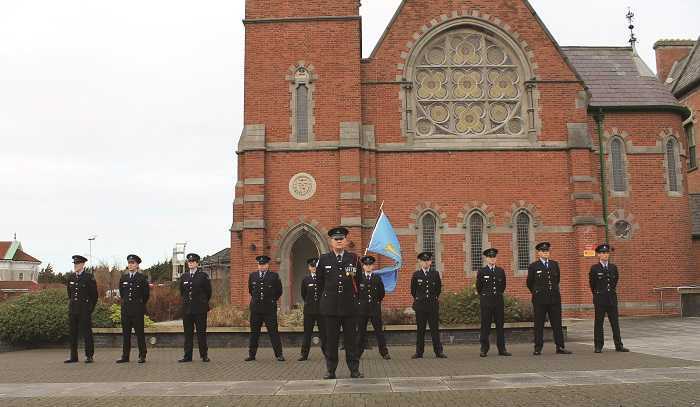 While the platform can be deployed anywhere within DFB’s jurisdiction, it also goes out any time there’s a general turnout for Dún Laoghaire. 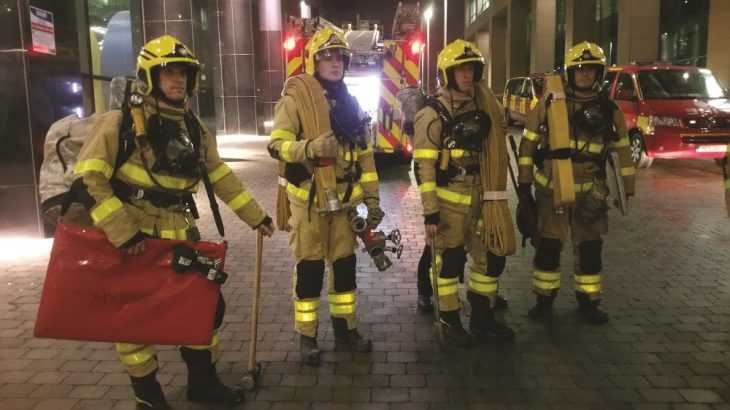 Until recently, D/O Rush was the sole hydraulic platform instructor in the job, and his move away from Dún Laoghaire meant less time spent working with the platform on a weekly basis – necessary if you’re to keep on top of its operation. 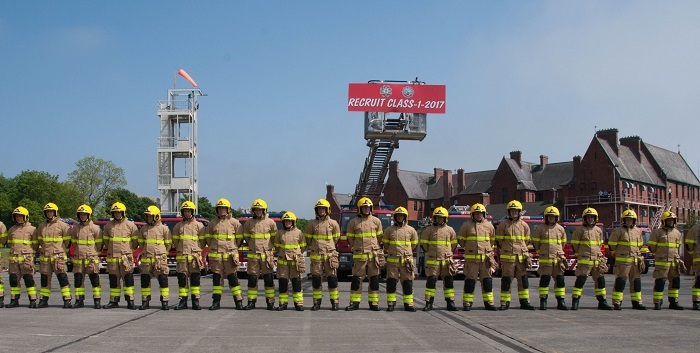 Given that this new platform will be in service shortly, and with D/O Rush coming towards the end of his career in the brigade, he was asked to train a new team of instructors for the next generation of platform operators. Three instructors based in No. 12 were chosen and D/O Rush, working with emergency appliance builder Emergency One, ran a comprehensive course covering the ins and outs of the SS263’s features and operation, including several demonstrations of its capabilities across Dublin City, at Trinity College, on Mary Street and other locations. “It’s versatile and nearly foolproof, but you still have to know what you’re doing to use it safely,” says D/O Rush. Once the instructors can safely navigate Dublin’s highways and byways, the next step will be training the crew of No. 12 to safely operate the new platform – the set of controls inside the cabin and in the cage, and the vehicle’s jacking system. The latter is one of the most important safety features and needs to be extended correctly each time. Fail to do so and you could wind up with the platform on its side. “If it’s not right and some of the safety features are not adhered to it could easily go over,” he says. 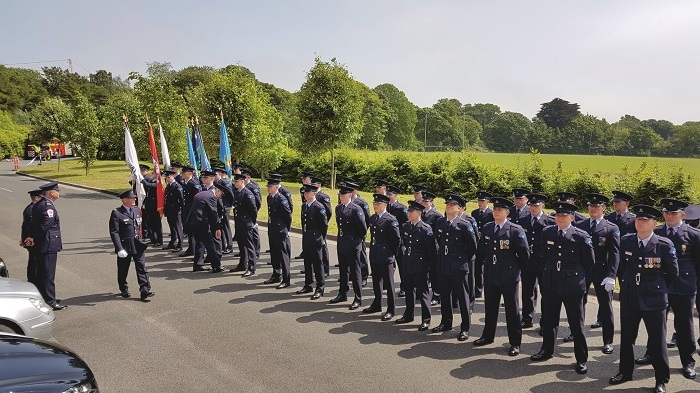 Dublin Fire Brigade has welcomed the latest batch of emergency service controllers, who graduated from the O’Brien Institute last December. 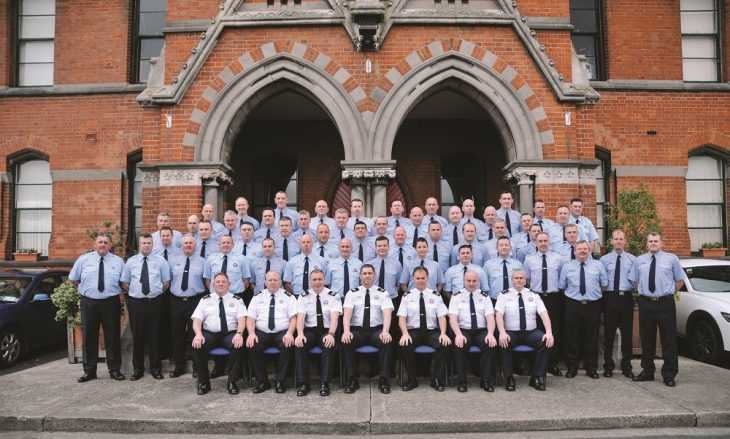 Last December, a fresh batch of emergency service controllers finished their ten weeks of training in the O’Brien Institute, graduating in front of senior officers, training instructors, friends and family. The day began with the recruits undertaking their final exams, followed by a gathering in the chapel – a Critical Incident Stress Management (CISM) information session where CISM team member Adrian O’Grady spoke to the new controllers and their families, providing an outline of what CISM is and what the team provides – a response to any call within 20 minutes from a team of volunteers across the job. O’Grady also outlined the role of the controller, the need to get a clear picture of the scene, the ability to calm callers down and empower them to help others, to mobilise resources within seconds, and liaise with crews on scene. “Call takers save seconds, seconds save lives,” he noted. In addition, he touched on the need for resilience and their ability to bounce back – some of the calls received by emergency service controllers can take their toll, and care and support from their loved ones at home is very important to cope with trauma. 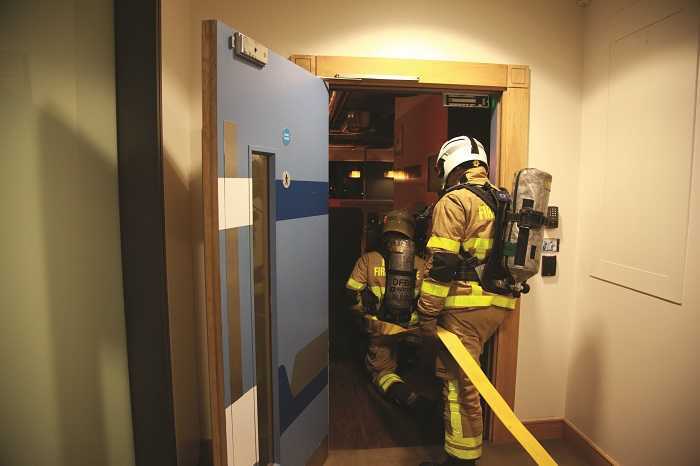 During their training, the recruits were exposed to increasingly severe calls, and are being mentored by experienced colleagues in their early days in the job. The CISM team has recently introduced a support whereby emergency service controllers can press a button and speak to a member of the CISM team. But family support is paramount to reducing the impact of the highly stressful workplace, and is important for maintaining a good work/life balance. “CISM is not an illness or a disease. From next week, your nearest and dearest will be exposed to very stressful and complicated situations. We have trained them for it insofar as we can. However, stress can manifest itself in different ways,” explained Brigade Training Officer Gerry Stanley. 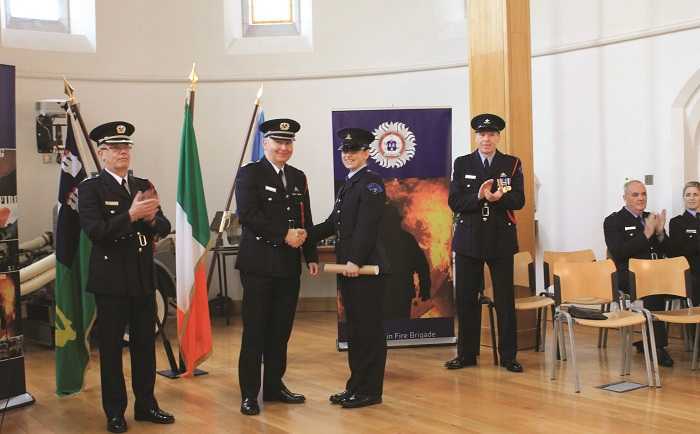 The CISM talk was followed by a drill at the front of the chapel, an inspection of the graduating controllers by Brigade Training Officer Gerry Stanley and Assistant Chief Fire Officer Dennis Keeley, ending with an official presentation of certificates inside the chapel. A popular topic was the standard of training, the quality of the recruits, and how this is just the first step in their new careers. 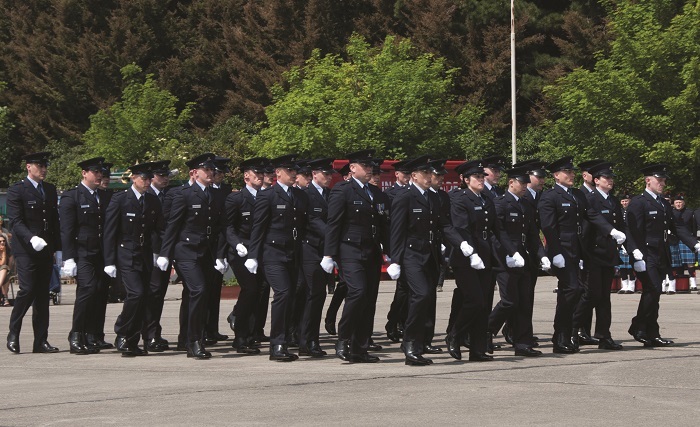 Speaking at the ceremony, ACFO Keeley was full of praise for the graduating recruits. RTÉ’s Operation Transformation celebrated its tenth anniversary this year, setting another five leaders on the path to a healthier lifestyle. 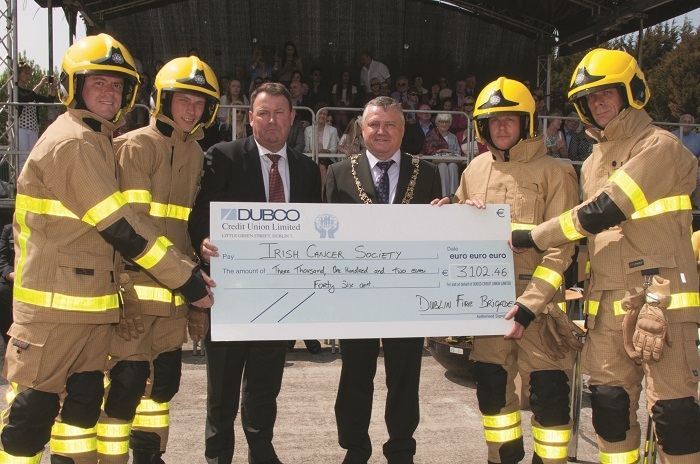 Conor Forrest caught up with S/O Dave Connolly to learn more about Dublin Fire Brigade’s involvement in the show. Celebrating its tenth anniversary this year, RTÉ’s Operation Transformation returned to our screens last January and February, with five new leaders put through their paces through an intensive eight-week programme in a bid to radically change their exercise and eating habits. 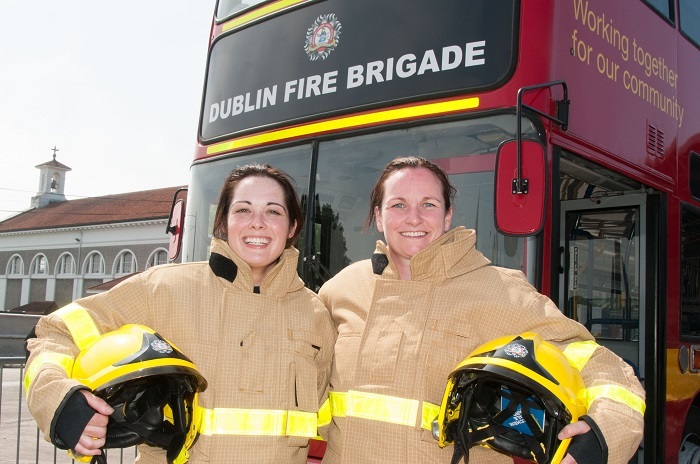 For the third year running, Dublin Fire Brigade partnered with the show to set the leaders a series of physical and psychological challenges, this time with two firefighters in the form of S/O Dave Connolly and FF/P Stephen Howard, pushing them to their limits each week. 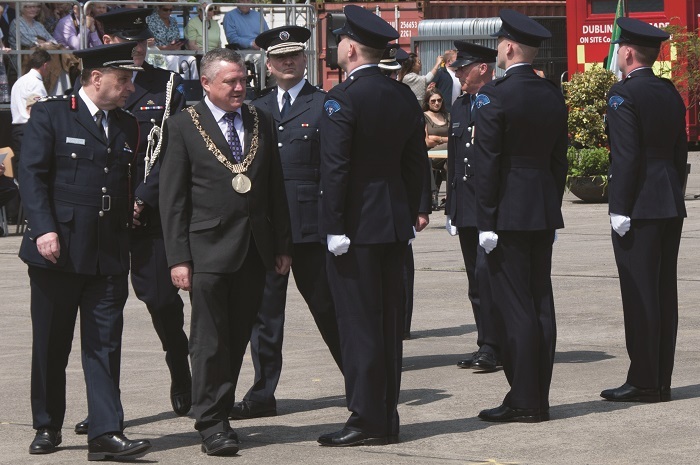 For Dublin Fire Brigade, the show represents an opportunity to showcase the depth of experience within the brigade, alongside the types of incidents they regularly respond to. The bar was set high (literally and figuratively) at the end of the first week: the leaders assembled at La Touche House in Dublin’s docklands, an imposing 100-foot building. Here they had to undertake a psychological challenge, climbing the 100-foot turntable ladder to the roof, followed by a leap of faith – stepping into thin air while suspended in a harness. Other challenges tested the leaders’ willpower and encouraged them to work as a team – ziplining from Tower A to Tower B in the OBI, or dealing with the fallout from a simulated traffic collision while simultaneously fighting a number of fires. “We were trying to highlight different aspects of what DFB does – we included road traffic collisions, highline rescue work and swiftwater rescue on the beaches,” explains S/O Connolly. At one point the pressure proved too much for Seán Daly, a leader in his twenties, who clashed with S/O Connolly on the drill yard and was (temporarily) given his marching orders. “The exercises were designed to put them under pressure. The logic was, when they left us, the next time they’re put under pressure they can use their [newly developed] coping mechanisms,” he added. However, S/O Connolly admired the enthusiasm and effort displayed by Seán and the other leaders, who were being pushed to their limits and beyond. “Seán – you could never doubt his effort. Chris, an amputee, he moved better than some of the other leaders, and his attitude and mindset was right,” he says. Dave Connolly and Stephen Howard. 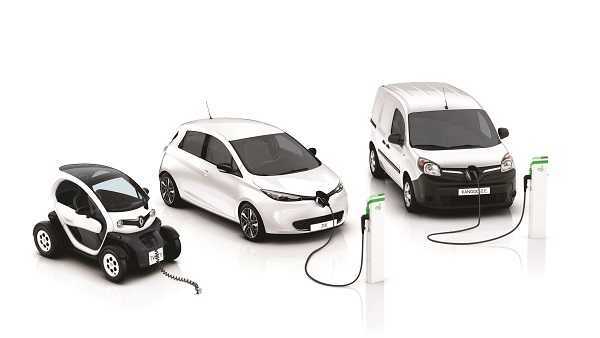 Images courtesy RTE. Clearly their hard work was a success – a combination of a healthy eating plan and new-found willpower meant that the leaders collectively lost almost 10 stone during the two months. “By embracing a healthier way of life they have inspired thousands of people around Ireland to transform their lives. Already the leaders have lost a serious amount of weight, but more important is what they’ve gained – a love for exercise and a healthier relationship with food. It would be hard to find five more inspirational people to be the leaders for the tenth series of OT,” said proud host Kathryn Thomas. The leaders also performed admirably in a final race in the OBI against a team of All-Star leaders from previous series. The head-to-head competition was a tough test featuring an amalgamation of the challenges this series – ziplining from a raised platform; loading from an equipment dump to a DFB jeep; pulling the jeep from one end of the training yard to another; and racing to unload a tender to extinguish a fire. Though the race was close, the current leaders won the day. 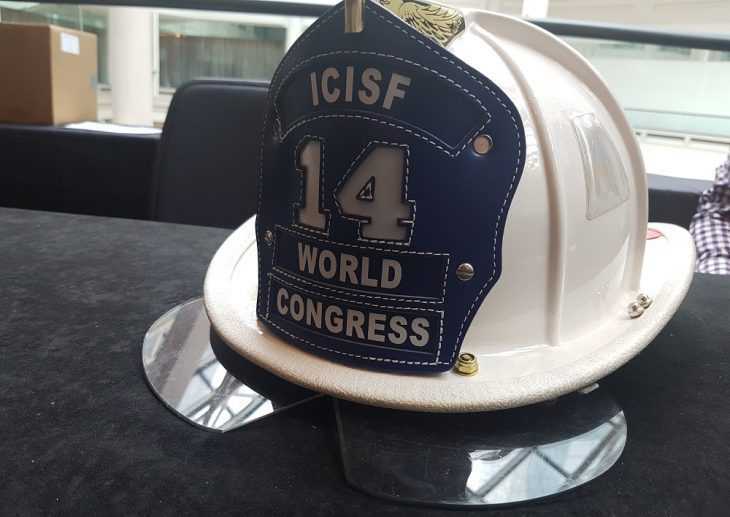 Adrian O’Grady, Dublin Fire Brigade’s critical incident stress management team coordinator, recently travelled to attend and take lessons from the 2017 International Critical Incident Stress Federation World Congress. Over the years, effective critical incident stress management (CISM) has become increasingly prevalent among emergency services. A protocol devised to deal with traumatic events, it allows those involved to share their experiences and emotions, learn about stress and its management, and avail of further help if required. 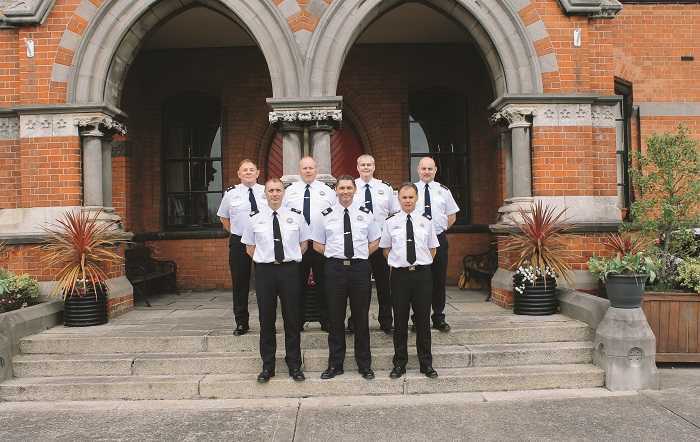 Dublin Fire Brigade (DFB) is one of a number of Irish emergency services that has a full-time CISM response team for personnel who need to talk about their experiences. 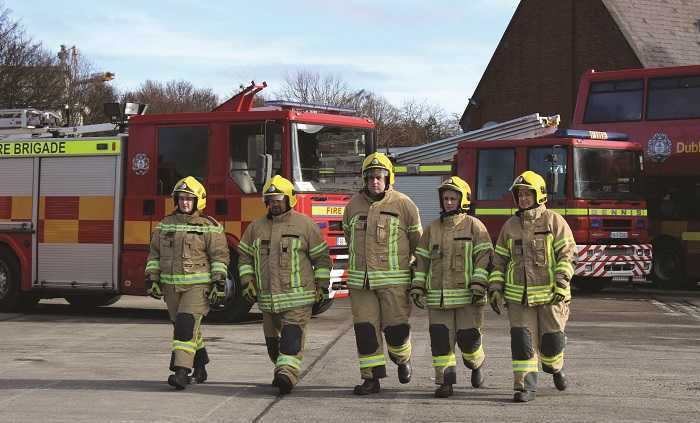 New recruits are provided with several days’ worth of CISM training during their early days in the job, and similar training is provided to emergency service controllers. In addition, CISM training is provided when a member of DFB receives a promotion, before going out into the field. When required, the CISM team also organises one-to-one interventions post-incident, as well as group interventions two to three days later. 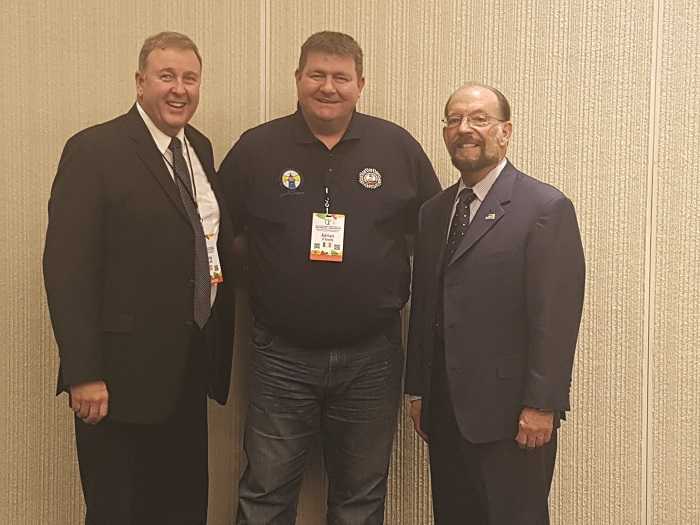 At the head of DFB’s CISM team is coordinator and Station Officer Adrian O’Grady, who recently travelled to Baltimore to take part in the International Critical Incident Stress Federation World Congress, May 1st – 6th on stress, trauma and coping mechanisms. The governing body that oversees the accreditation and standard of CISM training across the world, the Federation runs a world congress every two years, an opportunity to network, meet fellow professionals, and share ideas. Thankfully Ireland hasn’t been exposed to a major emergency incident since the Stardust fire in 1981. However, this means that DFB’s CISM team only has experience in assisting in the aftermath of smaller scale incidents, and thus the chance to learn from those who have dealt with major emergency events was invaluable. For Adrian, it was also a chance to meet the founding fathers of CISM. 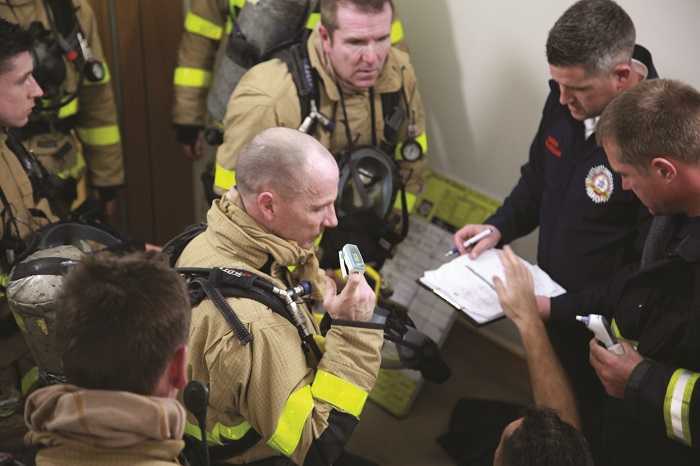 CISM training was first devised by Dr Jeffrey Mitchell, a former firefighter and paramedic who came to a realisation that there was a need for additional support and interventions in the aftermath of a traumatic incident. Dr Mitchell wrote a paper outlining his ideas in 1983, and from there the field of traumatology exploded into being, aided by the work of George Everly, the co-founder of the International Critical Incident Stress Foundation. “You’re seeing the people who wrote the entire system – they’re still there and they’re at the top of their game. George Everly is at the top of neuroscience and neuroplasticity. He’s more or less proven that CISM still works because neuroscience is now saying it does. Because we’re taking scans of the brains it’s telling us that we’re hitting the right areas with the work that we’re doing,” Adrian says. Having had the chance to mingle and learn from colleagues around the world, Adrian understandably came home bursting with ideas on how to improve DFB’s CISM unit. 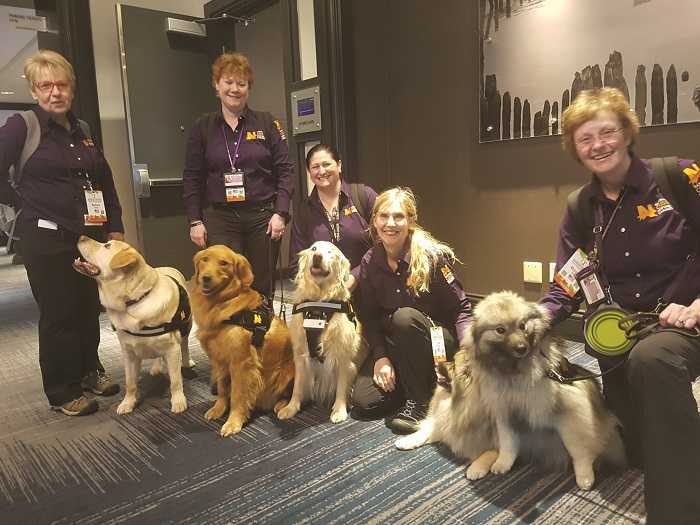 For example, a dog handler who worked tirelessly among crews on the site of the Twin Towers in 9/11 spoke about the effectiveness of using dogs in the aftermath of major emergencies, which could be incorporated within the work of DFB’s team in the future, particularly with members of the public. Adrian also noted the use of a mini pedalo by emergency dispatch personnel while on duty. “If you’re traumatised and the adrenaline is rushing through your body, you still have to take the call, there’s nowhere for it to go,” he tells me. “The pedalo enables you to release some of the adrenaline from your system, though I don’t know how that will go down!” One of the US fire departments has developed a comprehensive suicide prevention programme – DFB does quite a lot of suicide prevention training, but this particular programme was more hands-on and open in terms of discussing suicide and the risks among emergency service personnel. Adrian has presented these ideas to DFB management, who have provided fantastic support to the CISM team and to Adrian in travelling to Baltimore. The plan now is for DFB’s CISM unit to progress further, to continue to incorporate international best practice, to learn from the mistakes and experiences of other services and to stand shoulder to shoulder with colleagues around the world. 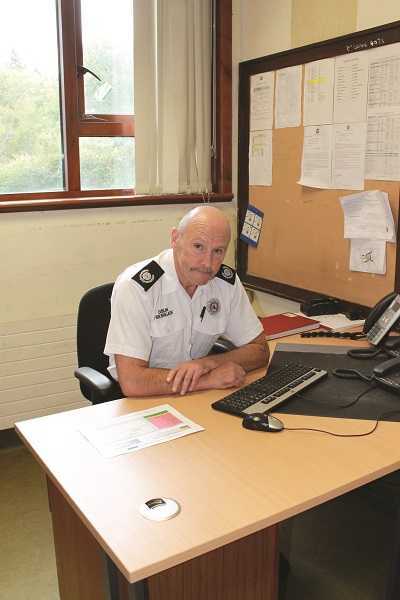 The team is a guiding member of CISM Network Ireland with T/O Brendan McNicholas as its current chair, and is in contact with the new European network as it begins to evolve. The research arm of the CISM team has also recently presented a paper at the European Association of Work and Organisational Psychology Congress held in Dublin in May. 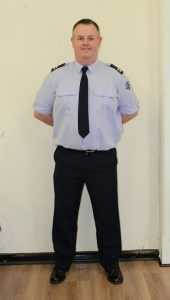 Adrian first got involved in CISM when he was six months in the job, stationed in Rathfarnham, following a traumatic incident. 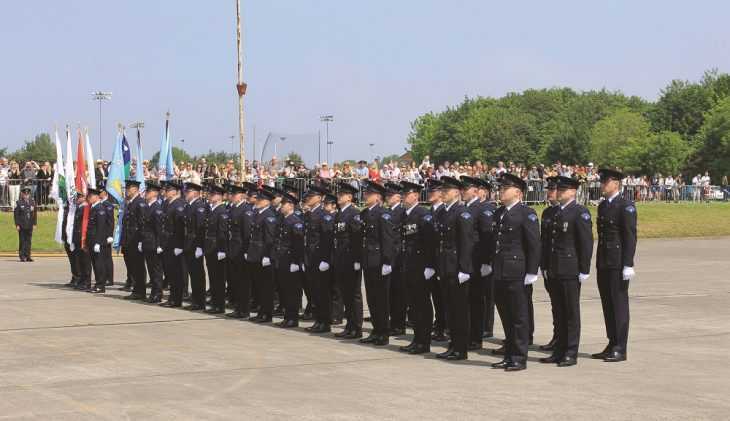 The team was formed in 1999 by his predecessor (the now deceased Sub Officer Mark Brannigan) and has gone from strength to strength over the years due to the work of Adrian, the Clinical Director Aidan Raynor, and the tireless team members, providing supports to DFB personnel and their families that include family information nights in the OBI. Family members can play a huge support role – strong bonds, open communication and honest discussion can prove pivotal, and they can recognise changes or stress escalation in their loved ones that others may not. The most recent night was held at the beginning of March; alongside talks from Gerry Stanley, Paul Lambert and Dan Fynes, Adrian gave an account of what the family members of Recruit Class 1/2017 can expect in the years ahead, noting that new recruits are more likely to share stressful encounters at home than with their colleagues. “That’s why we’ve brought you here tonight, to prepare you for those offloads,” he told the gathered family members. Among the latest graduates from the O’Brien Training Institute are 50 new sub officers, who have completed the junior officer course. 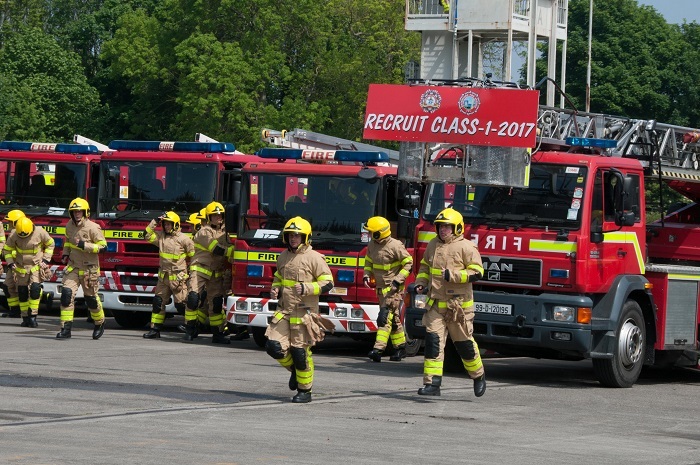 Dublin Fire Brigade’s training centre in Marino is a whirlwind of activity these days, as recruit classes undergo their introduction to the world of firefighting, serving personnel pass through for continuous professional development, and external organisations take part in courses like occupational first aid. 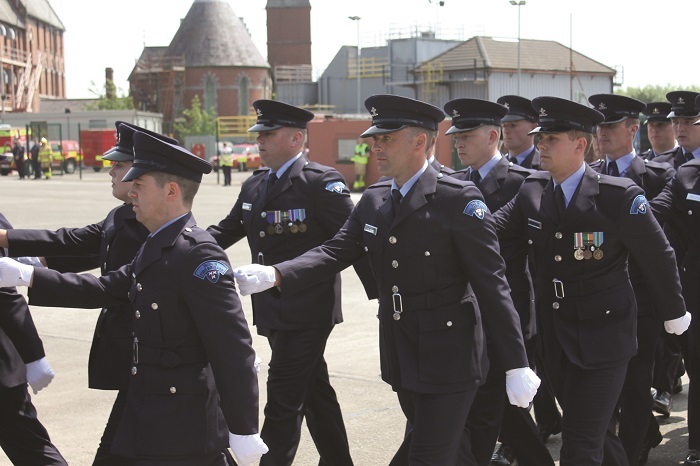 Among those passing through the training institute earlier this year was a group of newly promoted sub officers, completing the junior officer course in advance of deployment in their new roles. 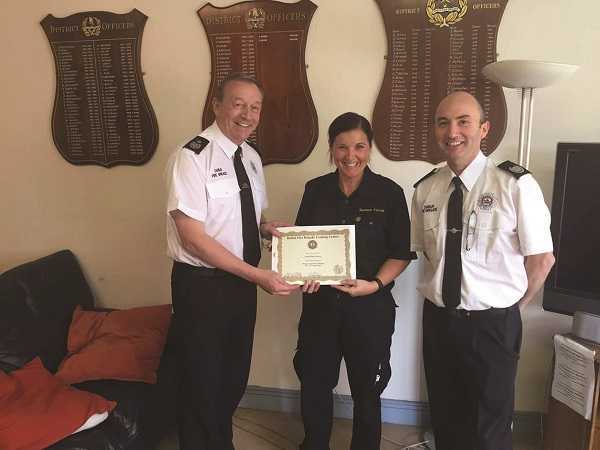 A total of 48 full-time and two retained sub officers took part in the intensive two-week course, following a rigorous and robust selection process. 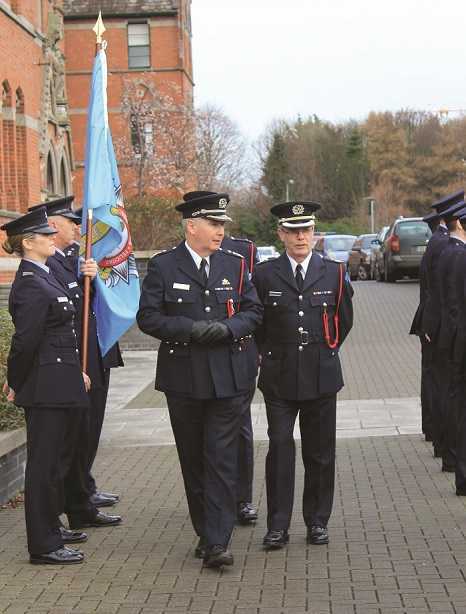 Covering a variety of knowledge and expertise required of a sub officer, the overarching theme is the structure and management plan of Dublin Fire Brigade, and the position of the sub officer in the chain of command. A number of instructors were seconded to the OBI for the purposes of this course, some from operational duty and others working in the training centre. Alpha district D/O Willie Maher was one of the former, chosen for his experience with DFB’s hazmat response capabilities. 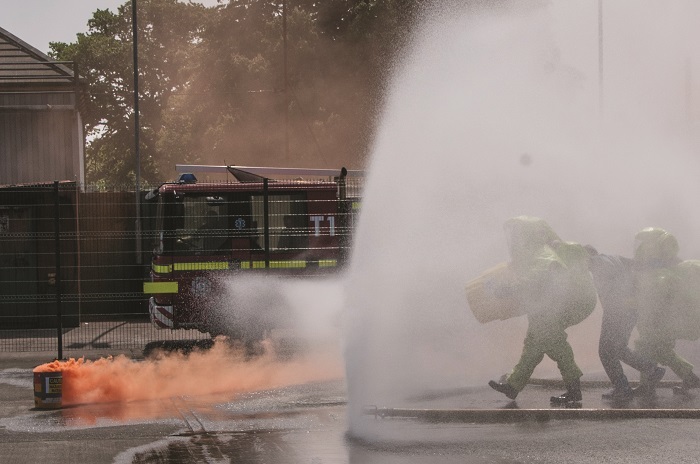 Though hazmat incidents are perhaps less frequent than others, sub officers play an important role in these and other events, dealing with smaller incidents as the incident commander, filling the role of sector commander at larger scenes, managing resources or provide reports along the chain of command.